With the development of newer and more advanced immune profiling technologies, we are getting to better understand the complexities of the human immune system. This includes infection, vaccination as well as how diseases or pathogens alter immune cell repertoires and their functional activities. The Immune Profiling World Congress brings together experts to discuss how profiling of the immune system using high throughput technologies can aid therapeutic design and treatment strategies in infectious and non-infectious diseases including cancer. "Great opportunity to Network, learn of new developments and trends of the industry and obtain Insights to the strategies companies are using to grow their business"
"Always a well run conference with great science presented during the sessions, and the chance to meet with multiple decision makers in the field." 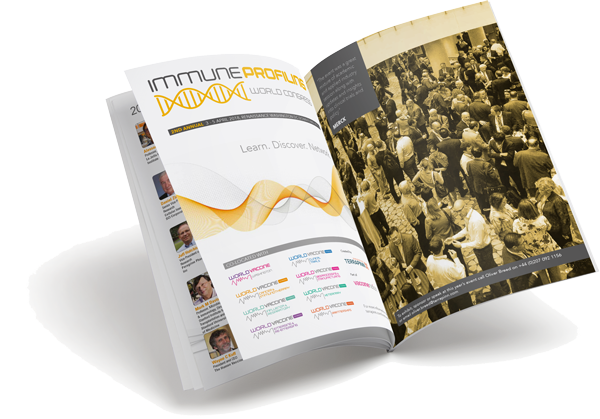 Put your company at the forefront of the vaccine industry and sponsor the Immune Profiline World Congress. "Probably the strongest conference in the vaccine sector"
"This is currently the best vaccine meeting in the world, as it combines basic science, clinical product development and regulatory affairs issues with incredible networking." "Quality of the professionalism and administration of the conference by the organizers was very good. The talks and presentations were very good. The networking we achieved was very good." "Extremely well organized. Good mix of time for f2f meeting, work streams and keynote speakers. High quality of talks and exhibits." "Great opportunity to Network, Learn of new developments and trends of the industry and obtain Insights to the startegies companies are using to grow their business"
Join us in 2019 during the cherry blossom season in Downtown DC!